But Tim Harford, award-winning journalist and author of the bestseller The Undercover Economist, likes to spring surprises. 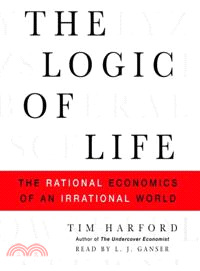 In this deftly reasoned book, Harford argues that life is logical after all. Under the surface of everyday insanity, hidden incentives are at work, and Harford shows these incentives emerging in the most unlikely places. Using tools ranging from animal experiments to supercomputer simulations, an ambitious new breed of economist is trying to unlock the secrets of society. The Logic of Life is the first book to map out the astonishing insights and frustrating blind spots of this new economics in a way that anyone can enjoy.